Links between early paracetamol use and the development of allergies and asthma in five and six year old children have been confirmed by health researchers at the University of Otago, Wellington. The report by Professor Julian Crane is based on the New Zealand Asthma and Allergy Cohort Study. It investigated the use of paracetamol by 505 infants in Christchurch, and 914 five and six year olds in Wellington and Christchurch to see if they developed any signs of asthma or allergic sensitivity. The study has recently been published in Clinical and Experimental Allergy. “The major finding is that children who used paracetamol before the age of 15 months (90 per cent) were more than three times as likely to become sensitized to allergens and twice as likely to develop symptoms of asthma at six years old than children not using paracetamol,” says Professor Crane. 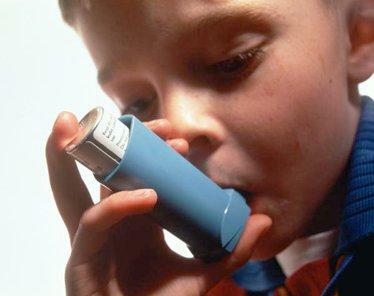 The research also found that by six years 95 per cent of the study sample were using paracetamol and there was a significant increased risk for current asthma and wheeze. However the findings depended on how much paracetamol was being used, with the risk greater for those with severe asthma symptoms. “The results at this stage are supportive of a role for paracetamol in asthma and allergic disease,” says Professor Crane. However there may be many different mechanisms operating in the links between paracetamol and allergy/asthma researchers say. For instance it has been shown that fever in infancy may reduce allergy in childhood, and that paracetamol may affect antigen processing in the immune system early in life, or may be linked to free radical damage and enhancement of allergic inflammation and bronchospasm. The University of Otago study concludes that although direct causation between paracetamol and allergy/asthma has not been established, neither has paracetamol been shown to have a beneficial effect on disease outcomes when used against fever, and guidelines for its use are unclear.